A Diet High in Magnesium or the Use of Magnesium Supplements can Decrease Kratom Tolerance as Well as Increase the Positive Effects of the Herb. Traveling from Southeast Asia, through Europe and the United States, Kratom has finally managed to find its way to those in need of effective, but natural and non-addictive medical care. And no wonder, since Mitragyna Speciosa, a herb descending from the coffee family, has been proven to soothe chronic physical pain, psychological disorders and withdrawal side effects. As consumers’ experiences indicate, responsible long-term usage of Kratom can significantly diminish anxiety, depression and PTSD as well; still, when used over a longer period of time, its soothing properties are bound to lessen. For proper consummation and durable effects, it’s important to comprehend why Kratom tolerance is being developed, how it works and is there a way of avoiding it. As a herbal supplement with medical benefits, Kratom affects and relieves pain by meddling with our brain chemistry. Two of its ingredients most responsible for the herb’s soothing potentials are in fact alkaloids and metabolites – 7-hydroxymitragynine and mitragynine. And, while both of them serve as painkillers, the first is accountable for Kratom’s sedating effects and the second for its stimulating properties. Together, these ingredients concentrate in the brain’s receptor sites and result in Kratom’s distinctive pain-relieving effect – the brain down-regulates receptor sites, consequently achieving the sense of balance, or as science knows it, a homeostasis. If, however, these ingredients remain in the brain for a longer period of time, which happens with continual consummation and high dosage, the brain starts to build a special kind of immunity which eventually becomes Kratom tolerance. With tolerance, the soothing effects begin to diminish gradually, until they are completely reduced. Luckily, there are ways of postponing Kratom tolerance. Certainly being the most effective of them, a carefully calculated dosage schedule is, unfortunately, not an option for most Kratom users. As a painkilling remedy, this herb is on the prime of its medical potentials when dealing with chronic conditions, which demand its frequent or continual consummation. In those cases, when an adjusted dosage program is inefficient, there are alternative aids to help resetting receptors and rewind the tolerance cycle. Along with dextromethorphan, phenibut and tagamet, a few substances more have manifested potential of slowing Kratom tolerance down. All of them share one common ingredient – NMDA receptor antagonists – a class of anaesthetics that work directly with the brain receptors responsible for tolerance-building, disallowing their gradual acceleration. Being the natural NMDA receptor antagonist, the best and safest of all Kratom potentiators is magnesium. 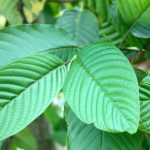 The need for Kratom appears with endangered health; its medical effects are, therefore, most intensive when combined with an overall care for both body and mind, in which a well-balanced diet and regular exercise play a significant part. With those and many more, general health demands a regular intake of magnesium as well. As a mineral, magnesium is indispensable for normal development and maintenance of bone structure, blood pressure regulation, proper neural function and digestion. In turn, magnesium deficiency is one of the common causes of clogged arteries and high blood pressure, which eventually lead to diabetes and heart diseases. Due to such properties, this mineral is used for prevention and medical therapy. As a treatment for physical dysfunctions (asthma, multiple sclerosis, urinary incontinence, migraine headaches, PMS and pregnancy cramps, just to name the few) and somatic symptom disorders induced by various psychological conditions (anxiety, CFS, mania and alcoholism), magnesium is highly efficient and completely natural. And being saturated with NMDA receptor antagonists and ions crucial for the proper functioning of more than 300 enzyme systems in our bodies, it certainly does one hell of a job managing our biochemical balance. The normal level of magnesium is mostly achieved with wholesome nutrition, but if needed, it can be increased with an additional intake in the form of dietary supplements or medicines like antacids and laxatives. For the purposes of boosting Kratom’s natural potency and avoiding Kratom tolerance, it can be used in both forms – natural, through a balanced diet, and pharmaceutically processed, through magnesium citrate supplements. Multiple cases of combining magnesium and Kratom have shown the mineral’s spontaneous effect on tolerance. If you prefer the all-natural way, you can look for magnesium in foods rich with fibres – whole grains and legumes, seeds and nuts, and especially green, leafy veggies like broccoli, spinach and chard. For a bit of sweetness, you can find it in avocados, bananas, figs and dark chocolate. Yoghurt and kefir are also abundant in magnesium levels, and if those are not your cup of tea, there’s always mineral water. Those who do choose supplements, usually take them about 30 minutes before using Kratom. Do I take the magnesium at the same time that I take the crate him? If you use kratom responsibly then no dependence is formed. Kratom is abused by many and opioid withdrawal is experienced If you don’t believe me check the quit kratom sub on reddit. I use it once a week with no problem. Kratom is under review to be banned for this reason. Be careful. Thank you for the valuable information about Kratom and magnesium. Like all your articles I learn so much about using Kratom in a healthy and safe way.